You offer another great technique,LuAnn! Such fun,I love following your blog. Trimming is a good idea. Thanks for nice pics of your technique. BTW... did you see the recent post of Jules'? She even has a giveaway going. So clever! What a nice way to get bonus squares and nice points. I admire your stick withitess. Cool! I appreciate the posts you've done on these squares on point. I''l have to keep this in mind. Hi Luann, this really is genius!! I just do not like sewing on point, as it frustrates me to no end. I love your ideas and especially cutting the HS triangles for no waste. Great techniqe and great quilt. You've been busy girl!! I love this! You have inspired me to use some of my charm squares. I have done this...it is quit amazing isn't it!!! What a fabulous idea. Thank you for sharing. 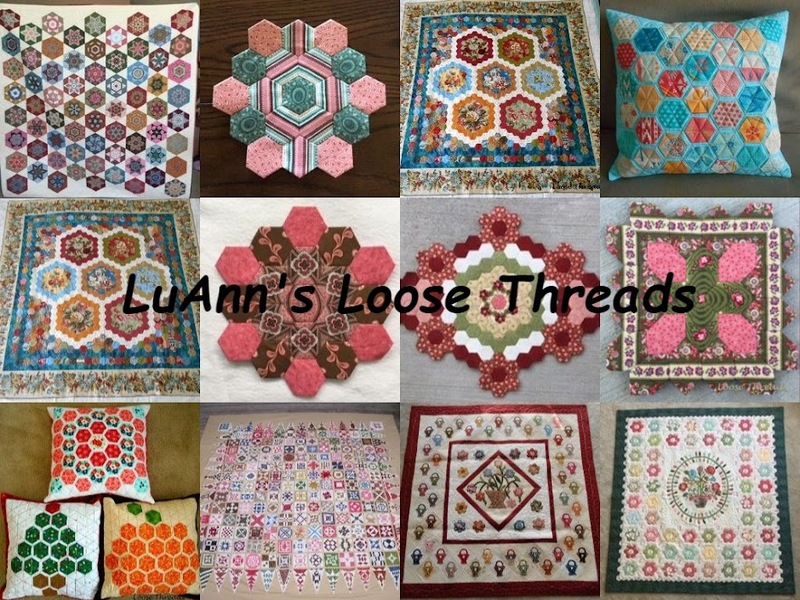 I know many quilters aren't fond of piecing on point! I am one of them! Great project for a charm pack! Hey, that's a cool, nifty trick! That would be a nice challenge...just piece big blocks together and start slicing! The fabric choice is really nice, too. I hope your colors are starting in Indiana...things are starting to turn here. I hope the drought doesn't ruin fall...it is my favorite season!